MINI has been working on an array of projects adjacent in one way or another to cars and the general automotive field. In recent years, the British marque has been trying to figure out a way of making living in crowded mega-cities a bit less painful and, why not, more enjoyable. It’s a known fact that rent prices are constantly growing while space inside busy cities is getting scarcer as time goes by. That’s where the MINI Living concept steps in, trying to find alternative solutions to problems we’re all dealing with. 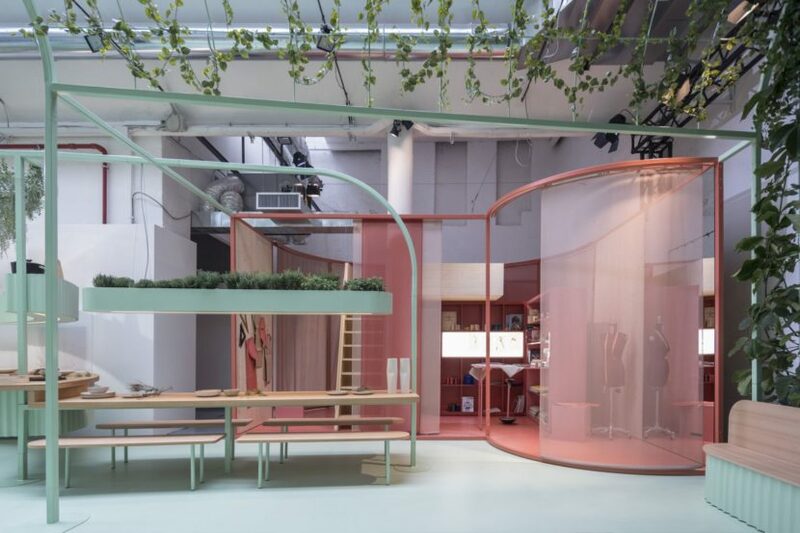 This week, at the Salone del Mobile in Milan MINI will be presenting its Built By All installation, done in collaboration with London-based architects Studiomama. 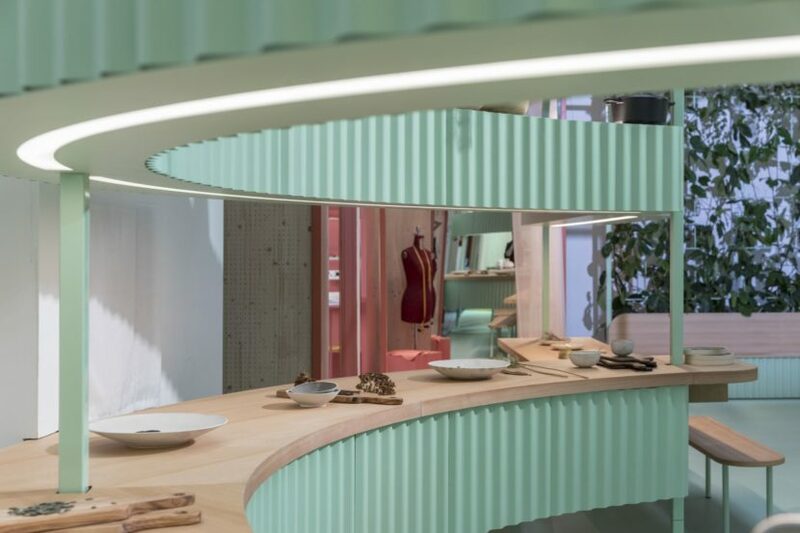 This new installation reveals a visionary living concept brought to life in a close collaboration between residents and architects. A surface area of just a few square metres is used to create very personal and attractive spaces, reflecting MINI’s core principle of the “creative use of space”. 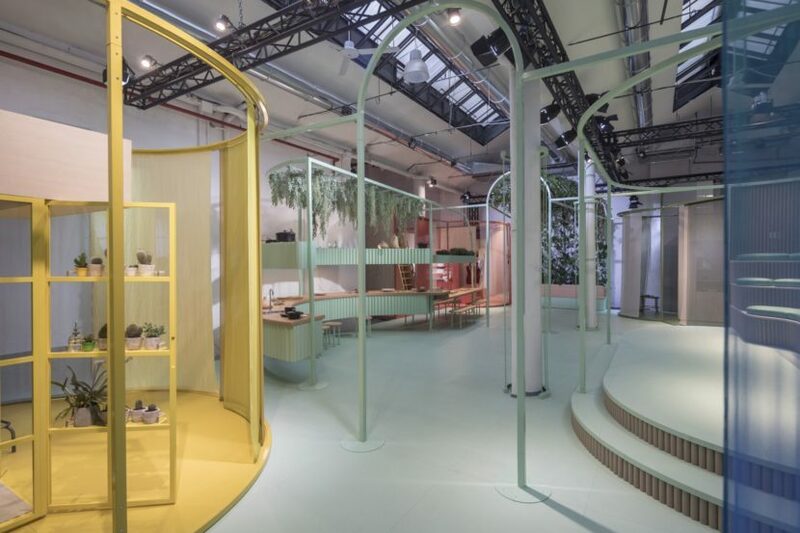 Visitors to Design Week can explore – in the here and now – the benefits of MINI LIVING for residents in the future. Moving beyond the installation, they can become creators themselves in the FACTORY OF IDEAS. In keeping with the idea of participative architecture, visitors have the opportunity to create their own visions of urban living spaces in the form of small conceptual models. These will be displayed on a Wall of Fame over the course of the installation. Viewed as a single entity, they symbolize a constantly expanding micro-neighborhood. 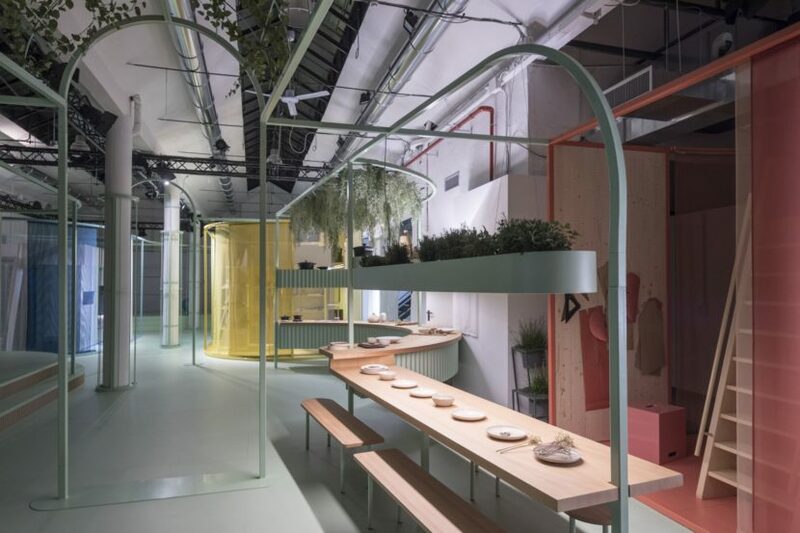 This year’s MINI LIVING installation is located in a connecting room at the Zona Tortona complex. Visitors here – some of whom will be architects – can experience the full-size realization of four different living space concepts designed in collaboration with Studiomama. Covering a surface area of just 15-20 square meters, but on very different floor plans and in different forms, colors and materials, are four contrasting living units. The approach underpinning the design allows each unit to express the individual personalities of their residents at the same time as underscoring the concept’s variety and scope. The living units are embedded in a shared space incorporating functions such as a communal kitchen, fitness area and atrium. The installation adopts existing structures – e.g. pillars and struts – and complements them with additional functionalities. The result is a standalone, living micro-neighborhood in an old factory hall. The installation highlights that even the inside of an empty building can be used to enrich the future of urban architecture. It demonstrates how unused warehouses, abandoned shopping centers and offices can be transformed into potential living spaces. The installation will be on show during the Salone del Mobile at Via Tortona 32 in Milan, Italy from 17 – 22 April 2018.